WILLEMSTAD - On January 1 and after 31 years of offering loyal services in the Caribbean, Obersi Electronics has transferred its radio network on the Isle of Bonaire to C3 (Critical Communications Carribbean), formerly known as Zenitel Caribbean. Since Alvin Obersi began a collaboration with Radio Holland in 1986, Obersi Electronics has always offered professional services to its customers. The company is seen as an institution on Bonaire. C3, led by Bert Schreuder, will continue to offer the same services from the office of Obersi Electronics at Kaya Grandi Bonaire. "We are very pleased that we can continue to work with Obersi Electronics, and at the same time to manage our radio network on seven islands. 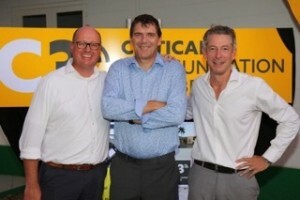 As specialists in 'mission-critical communications service we will extend our services in Bonaire, while at the same time Obersi Electronics will focus on its other products and services," said Bert Schreuder, Managing Director of C3. Schreuder continues: "Since the acquisition of Zenitel Caribbean by the Curacao Growth Fund at the beginning of 2016, C3 has done an outstanding job. We just finished our rebranding to C3, are engaged in a full network upgrade in the Caribbean and we are building a new headquarter in Emmastad, Curacao. We also do other investments on the isle of Bonaire." C3 is the regional leader in providing mission-critical solutions and an authorised Motorola dealer. 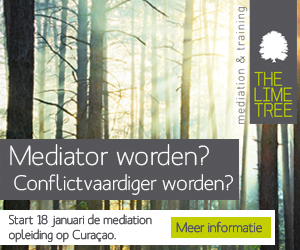 There are 30 people working from offices in Curacao, Aruba, St. Maarten, Bonaire and Colombia.